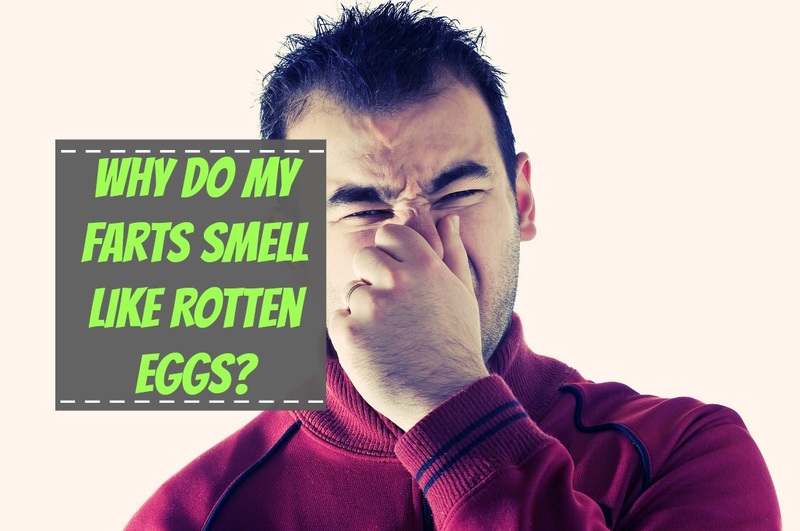 Home » Blog » Why Do My Farts Smell Like Rotten Eggs? Farting is the passing of air out of the body through the rear end. Air finds its way into the body through various means. It can be swallowed when chewing food or taking drinks like sodas that have a lot of gas. Air is also produced in the body during the process of digestion. The bacteria present in the lower intestines produces gases by breaking down sugar and starches that cannot be easily digested by the body. Everyone farts once in a while, and the smell of the gas given out can tell a lot about your health. The frequency of farting can also say a lot about your diet. For example, someone who consumes food that has a lot of fiber will have a healthy collection of bacteria in the small intestines and will also fart more often. 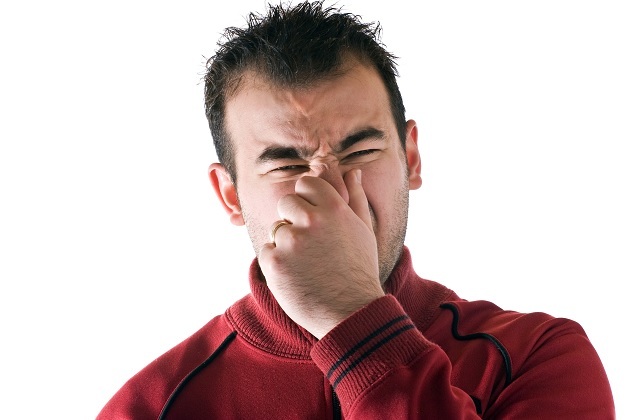 Passing gas that smells like rotten eggs is not only uncomfortable but also shows that you are not in good health. In this article are explained the causes of farts smelling really bad, symptoms, treatments and when one should consult a doctor. Digestion is a process that is complex and requires different types of bacteria to break down food at various levels or stages. There are times, however, when unwanted organisms find their way into the body and overpopulate the intestines. They cause infections on the intestinal walls that produce pus and other tissues. When regular gas that is produced in the body passes such an infection site, its smell will change. It will come out smelling like eggs that are rotten. The body is a living functioning organism that tends to get used to what it is exposed to most of the time. If you are used to taking farm produce only, you are likely to experience discomfort and release smelly farts when you consume processed foods. Different countries or regions have varying types of foods, and they are also prepared differently. If you are not used to spicy foods then travel to a place where everything is prepared using spices, you will most definitely pass out smelly farts. There are specific foods that are known to affect the smell of farts significantly. Sulfur compounds are normally used in the production of drinks like wines and some beers because of their preservative capabilities. The compounds also protect wines and beers from microbial interferences. The consumption of these beverages can cause one to produce farts that smell like rotten eggs because the sulfur compounds will be broken down and mix with hydrogen while in the stomach and intestines. The combination leads to the formation of methane gas and hydrogen-sulfide that release a pungent smell when released out of the body. Flatulence is a common side effect of taking most of the drugs found on the market today. This is because sulfur compounds are typically used in their production. Just like in alcohol, these compounds will be broken down and produce gases that smell like rotten eggs. It should, however, not worry you if the drugs you are taking are the cause. What matters in such a case is that the drugs are being broken down correctly in the body and they are serving their purpose. When a person is said to be gluten sensitive, it means that their digestive system has a hard time breaking down and digesting food types that contain gluten. These foods will eventually be digested but a lot of gas will be produced in the process, and one will experience discomfort in the lower abdomen. Gluten is found in foods like wheat, barley, rye, and graham flour. It becomes hard for one’s body to digest dairy products as they age. Some people, however, become lactose intolerant while they are still young. Such individuals normally lack the lactase enzyme in the intestines that absorbs dairy products. The digestion of these products, therefore, results in discomfort in the lower abdomen and one passes out gas that has a pungent smell. Doctors advise people who are diagnosed with this condition to avoid dairy products such as cheese and milk. Commonly referred to as IBS, it is a condition that is common across the globe. A person is said to have IBS when the intestines are sensitive to certain chemicals. Consumption of foods with these substances results in the overproduction of a gas that smells like rotten eggs. If you pass out gas with a pungent smell more often, start taking note of what you put in your mouth. Keeping a food journal helps a lot. You can carry it with you everywhere and note everything down no matter how small it is. In case of any discomfort and production of gas that smells like bad eggs, go back to your journal and trace what you ate that may be the cause. Do this regularly until you identify a pattern, then minimize the intake of the noted foods or stop consuming them altogether. They hasten the fermentation and digestion of food, and it is expelled from the body fast as well. The pace does not give room for the accumulation of gas in the intestines. These natural herbs include ginger root, fennel seeds, and peppermint. Fennel seeds can be chewed after meals and one can also drink peppermint tea. Ginger root can be consumed raw, or one can make ginger tea. These remedies have been used for many decades to improve the digestion of food. There are medicines available in drug stores that can eliminate digestion problems and reduce the production of bad smelling farts. Their regular intake is, however, not recommended since your body can get used to them. 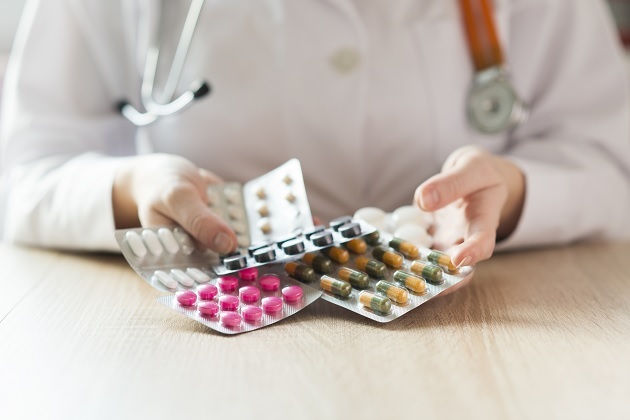 It is also crucial to consult a doctor or specialist before buying these drugs. You can drink it as soon as you notice you are producing farts that have a pungent smell or you can take it before consuming foods that you know make you gassy such as dairy or wheat products. Regular consumption of apple cider vinegar promotes the development of a healthy gut, and it also has other numerous health benefits. This is a fine powder charcoal that is normally subjected to heat at over a thousand degrees. It has numerous pores that trap gas as it goes through the digestive system. The powder is known to absorb hydrogen sulfide, a gas that is responsible for the farts that smell like rotten eggs. It is, however, important to note that activated charcoal does not work for everyone. Some people may react negatively to it, so it is critical to consult a doctor or a specialist before using it. The bacteria found in your gut are uncountable. Some of them are good while others are bad and can cause infections if they multiply. For optimal health, one should always have more good bacteria than the harmful ones. It is, therefore, essential to try and reduce the number of bacteria that have adverse effects on the body by consuming probiotics regularly. Probiotics kill the bacteria that produce foul gases and also improve the efficiency of the immune system. They can be found in yogurt and pickles. Digestive enzymes are proteins that are made of amino acids. They break down food into the nutrients that the body requires. Note that they reduce in number due to factors like age, stress, medication, or illness. Lack of enough enzymes can cause indigestion, bloating, and the production of farts that smell like rotten eggs. There are times when natural remedies and other treatment methods fail to prevent the production of farts that smell like rotten eggs. It can become a constant problem that can hinder you from socializing appropriately with others. The farts can also embarrass you since you can never tell when they are going to come out. If it gets to such a point, it is advisable to make an appointment with a doctor. There could be an underlying medical condition. Be open with your doctor and explain all your symptoms. If you become guarded with the information you give, it could result in misdiagnosis, and you will receive the wrong treatment. It is also essential to go to all appointments after the initial treatment so that your doctor can keep track of your progress. Farts that smell bad should not be ignored. If they occur once in a while, that is okay but if their frequency increases, you should find a way of treating them. Research all the treatment methods and settle for the one that suits you best. If it persists, consult a doctor.